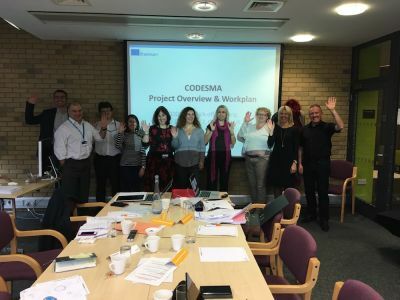 CODESMA project (COnstruction and DEmolition waste management training for Site MAnagers) kick off meeting was held on 18th and 19th October 2017 in Coventry, UK. The meeting was an opportunity for the partners to get to know each other better and to discuss all aspects of project delivery. 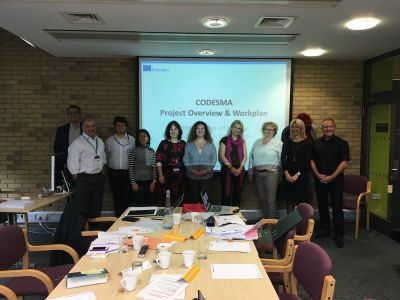 PROMEA, as a Technical Coordinator of the project presented the project overview to the partners and outlined the key tasks required for the project implementation. Coventry University, as a project coordinator, presented partners with Project Implementation and Financial Management side of the project delivery. The focus of the meeting then turned to the more detailed implementation and the delivery of the first intellectual output. After a productive and constructive discussion followed by the review of the proposed work plan for IO1 the partners agreed to make minor adjustments to the work plan that would reflect the outcome of the meeting. Partners expect to have IO1 completed to be reviewed by the 2nd Transnational Partners’ meeting that will take place on 8th and 9th May 2018 in Düsseldorf.